Near Century City there is a building that only houses restaurants with five letter names that have two of the same letters in a row. It is there that my friends and I dined at Sotto, which finds itself below Picca. ‘Twas a night of the first ever Summer Restaurant Week by DineLA, but these plans had been made without Restaurant Week in mind, so that kind of just turned out to be a bonus…for some people, because I decided to stick to the real menu. 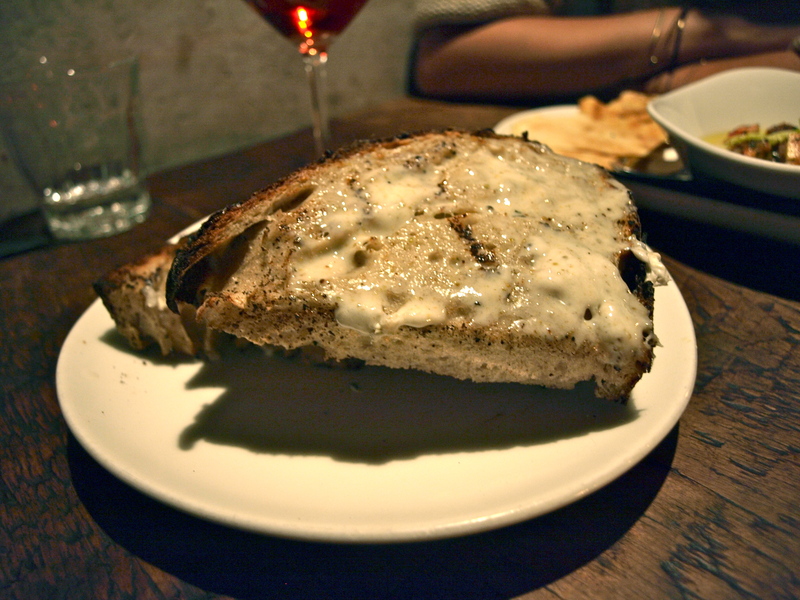 And that real menu brought me to an appetizer of housemade bread with lardo pestato. I had assumed this meant some sort of pork on break, and my waitress assured me similarly that it would be a sort of prosciutto. When it came out, however, there was no solid pig meat to be found. Instead, each piece of bread had literally been schmeared with lard. While I’m sure lard plays a role in many things I eat, it was strange to see it so out in the open and eat it as such an important component of the dish. The result was a unique taste that was kind of like bacon fat, but different. The texture was similar to butter, which was good since the lard was being used basically as a butter. For my main course, I went for the pastas, and for once opted for something that was not gnocchi. Instead I went with their casarecce, which came with braised lamb ragu, egg and pocorino cheese. This was truly something special. I often judge Italian restaurants by how easy it would be to reproduce their food at home with boxed pasta and jarred sauce – Sotto was not one of those places. The lamb was delicious and tender, with a perfectly flavored ragu sauce. The egg had already come pre-mixed into the sauce, which made me a little sad because I like to stir up some fried egg, but its flavor was definitely there. 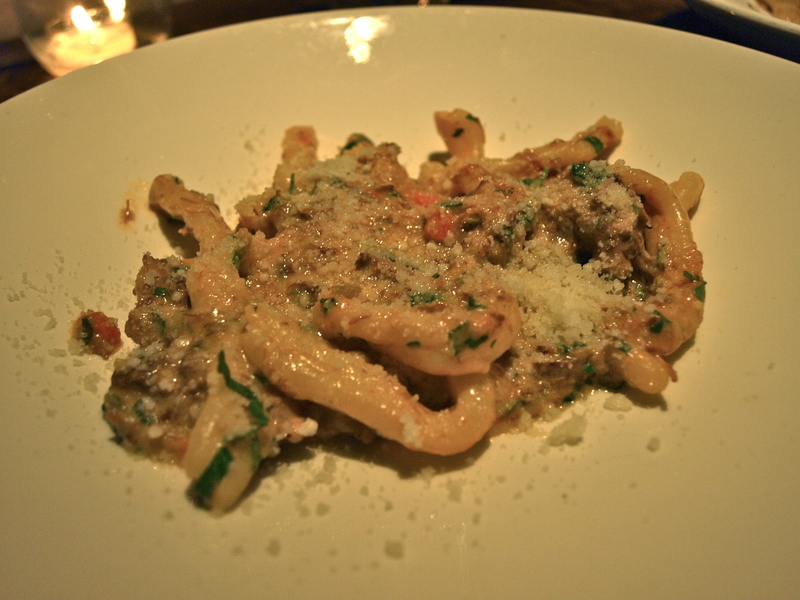 And of course, the casarecce pasta itself was tasty and had a great texture. So, in the absence of ordering from the Restaurant Week menu, I think I did pretty good for myself. I won’t be getting the lardo pestato bread again, but it was an interesting dish that I’m glad to have tried.